Cargo insurance, aka marine insurance, is an important part of the logistics process. It protects your freight forwarding and allows you to trade goods internationally with confidence and peace of mind. While you may believe that your cargo from China is less susceptible to damage than others, there is always a risk of loss. Remember, once outside your facility, your product can be subject to bad weather and the common rigors of transit. Recovering these losses directly from the carrier can be difficult. That’s why many companies prefer to invest in their own cargo insurance. Cargo insurance covers loss or physical damage of goods, while in transit by land, sea or air. Many importers believe that this insurance should be handled by their carriers. However, if you are not in control of the cargo insurance, it is difficult to guarantee that the correct type and amount of insurance has been placed on your shipment. Most of these risks are difficult for the owner of the goods to manage directly. This is because the goods will be given into the care, custody and control of third parties who will limit their liability for loss or damage to those goods. 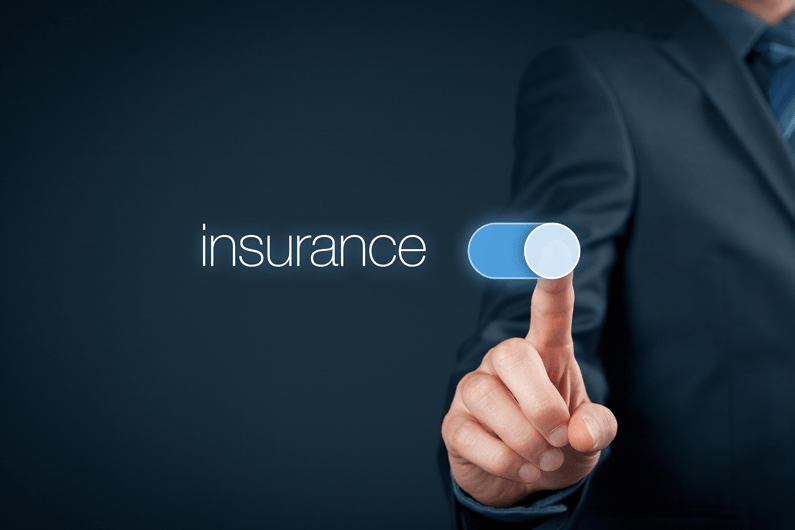 Insurance is usually worked on the basis of a percentage applied to the value of the consignment. The percentage applicable is the one provided by the insurer, by way of the premium. The value of the consignment is the insured value, not the sales value. Usually total insured value can be extended over the actual value of the freight and also cover freight costs plus an additional 10% for covered incidental costs in the event of a loss. That is 110% of the CIF, or equivalent value. Most insurance companies allow this and it is customary. You should also be aware in most cases the additional value claimed in no case can exceed more than 30% of the CIF value for any reason (tariffs, taxes, etc.) unless expressly pre-agreed by the underwriter in writing. How to recover your losses? To recover losses from a carrier, you must prove the loss occurred while your cargo was in the carrier’s possession, and that they caused the damage. In many instances it’s a lengthy and complicated process that leaves your inventory and dollars stranded. In the unfortunate event of a freight accident, you can avoid the uncertainty and frustration by carrying your own cargo insurance. 2.1.2.3 The difference between general average and particular average: the cause reason and the responsibility are different. the beneficiaries of general average contribution include: the cargo owner, ship owner and the freight party. There are two principles of general average contribution: contribution subject to the actual loss or additional expenses; Both of the loss party or non-loss party contributes the proportion of the total goods standard value. 3.4 The losses of insured goods natural losses, nature defects, characteristics and the market price falls, the losses and costs caused by transport delay. Act of God: An Act of God is a natural disaster that can neither be caused by human intervention nor prevented by human prudence. It refers to disasters that the carrier could not reasonably anticipate and avert, such as floods, tornadoes, earthquakes, and similar events. Act of public enemy: This exception refers to the belligerent actions of another nation’s military forces. It does not include acts of terrorists, hijackers, or rioters. Act of public authority: When legal processes against owners are used to seize their freight from the carrier, the carrier is not liable for the loss. In addition, states may use their police powers to seize or destroy contraband, impound cargo as evidence, or quarantine contaminated goods. Carriers are obeying such authority are not liable for any loss. Act of shipper: Acts of shippers most frequently involve improper loading or packaging. The general principle, however, is that the fault of the shipper must not be apparent through ordinary observation; if it is, the carrier has the duty to reject the shipment. Inherent vice: Carriers are not liable for loss and damage from the inherent vice of a commodity. Inherent vice refers to such factors as natural defects, decay, or disease that cause deterioration over time. Examples include rusting, spoilage, shrinkage, and fermentation. For many freight insurance is a must. Whilst we like to think your goods will always arrive as they should, covering the cost of the goods against damage or loss is advisable, no matter you choose CIF or FOB. Your ocean freight insurance will automatically cover 100% of the insured invoice value, plus an additional 10%. The policy protects ocean cargo against “all risk” of physical loss or damage from any external cause no matter what the percentage of loss, and with no deductible. From the time your cargo leaves the seller’s location, until it reaches the buyer’s facility, the insurance coverage protects your domestic and international shipments against all risks. With our insurance offering, you don’t need to prove that the carrier has been negligent in order to collect on your claim. Providing your B/L, Packing List and Commercial Invoice, our large volume of cargo insurance purchases ensures you receive competitive rates and expedient claim resolutions.